Polaroid is back ?! This is the new Polaroid One Step2 made by Polaroid Originals (originally The Impossible Project ) but we will get into that in a bit. This is the much younger brother of the Polaroid OneStep Sx-70 from 1977, this is the first Polaroid camera in 12 years. I was so excited to hear about this camera coming out because it is a direct competitor of Fuji Instax and it really a great step to know that Polaroid was here to stay. So some back story is needed, Impossible Project acquired majority stock in Polaroid back in May 2017 which was great news for the Impossible Project. Fast forward to September 2017 and Polaroid is announcing a new sub-company "Polaroid Originals" meaning an end of The Impossible Project. With that announcement there were price reductions from Impossible Projects prices and the biggest announcement was the Polaroid OneStep 2 of $99 USD that would ship October 2017. I could not pre-order this camera any faster because I wanted to support Polaroid Originals and the fact that this was anew instant camera with Polaroids name one it. With the hopeful success of this camera that would open more opportunity for Polaroid Originals to come out with a more Pro Instant camera. 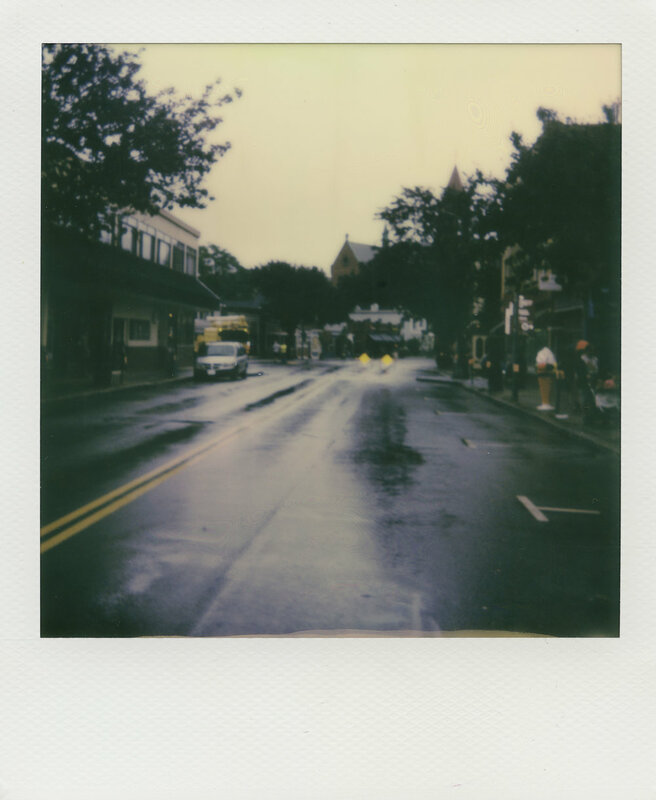 With this being a modern version of the original OneStep Sx-70 what could be different in this OneStep 2? Well, a whole lot! With it being a camera being produced in 2017 there are a lot of modern advances. The biggest one is the built-in Lithium-battery, which means the film packs for this camera do not have a battery in it making the film cheaper, which is a major selling point for this camera. With that built-in battery, the camera is good on a full charge for about 20 packs of film. I have only charged the camera twice since I got it, one right out of the box and another after having it for a few weeks and wanted a full battery for a trip.The OneStep 2 has a build in flash that is pretty good and bright and has an override button that you have to press simultaneously with the shutter button. The camera has a 106mm plastic fixed lens with a focusing distance of 2 feet to infinity. The lens is pretty sharp but since it is a lens that focus is based on the distance it has its limits and it has its sweet spot which I have found it being around 4-10ft. The self-timer button is next to the top of the flash is an 8-second timer that has a blinking LED light right under the self-timer button. 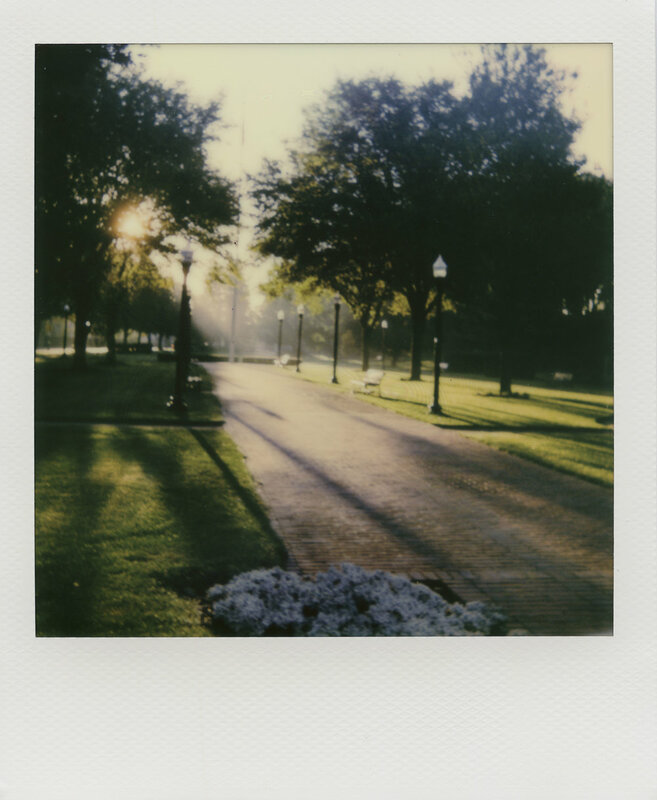 It is funny that it is an 8-second timer and not 10 or 5 seconds but the 8 seconds mirrors the number of photos in a pack of polaroids. Next to the lens in the bottom right corner is the light meter which is pretty good compared to the older Polaroids, which is expected since it is a brand new camera. The Light meter does a very good job and doesn't get very fooled too often. I have noticed that I have not touched the light and darken slider much other on very bright sunlight. Once you get used to the camera and the film you will get a feel if you need the flash or not or if you need to use the lighten darken wheel. The camera has a built-in frog tongue that stays on the frame once it's ejected to save it from getting burned from the light. The viewfinder of this camera is very different from any box style camera Polaroid has produced. Most Polaroid 600 cameras and Spectra cameras the viewfinders have this long protruding viewfinder but on the OneStep 2, it is missing for some reason. At first, I thought it wasn't that big of a deal but after using it for a few months I have noticed it being kind of an annoyance. One being that you have to put your eye very close to the viewfinder to get a full view of the frame and then you do that you end up tilting the camera a tad back and you change your framing and the subject matter of the photo is lower than you wanted it to be. When you tilt the camera the lens angles up but the viewfinder stays parallel and it's just something to keep in mind while shooting. The top of the camera has not much going on other than the rather unusual but very modern frame counter. The counter is made up of eight lights that light up for the number of frames you have in the camera. The counter does have a dual purpose of showing the battery life of the camera. By holding the flash button and turning on the camera it will indicate how much battery the camera has left. The bottom of the camera has camera has a standard tripod socket (plastic no metal thread insert). Also on the bottom of the camera, it has shooing instructions, which reminds me of the older land cameras that had the same. The handling of the camera is almost the same as any other 600 cameras that Polaroid has made. There is nothing really that sticks out to write home about but I think the main thing that I am glad they thought about is the flash override. Most of the time you will be needing the flash but outside in the bright sun, it's nice to turn it off and get some lovely shots of natural light. The way they designed it is that you will have to press both the shutter button and the flash off button while you take a picture. All the function buttons on the camera see to be in the right spot and it doesn't take much guesswork to find them while your eye is up to the viewfinder. I do think the camera is well made but I do think there are some downsides to the material that they used. 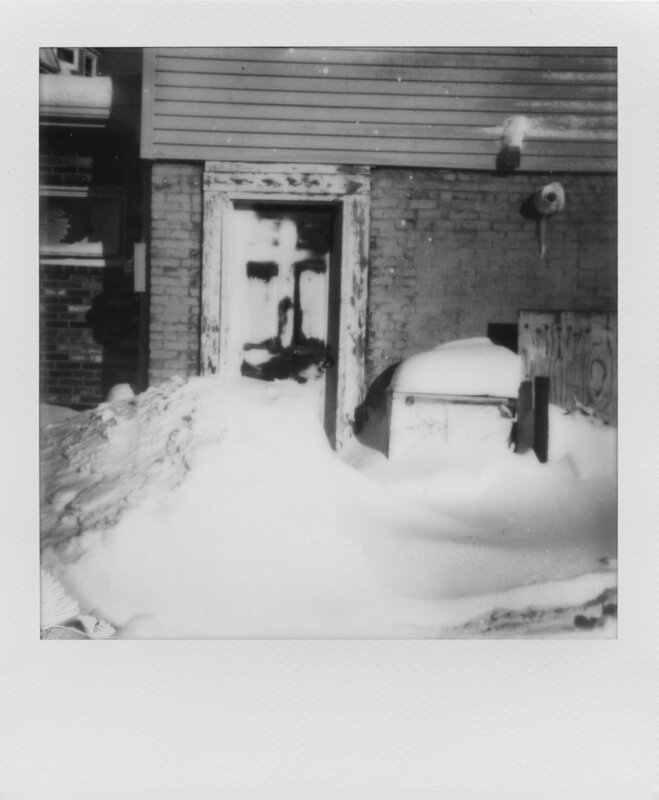 Overall I think if you have used a Polaroid 600 camera before this will be second nature to you. I will preface with this with some kind comments on the camera, I absolutely do love it and I was so happy to see it released but after using it for a solid three to five months I almost forgot about buying it and the fact that I even had it, I just started using my Polaroid Sx-70. I really wish the lens was not plastic or at least a better plastic but I would have loved glass. The plastic the camera is made out of is awful, not in terms of build quality but the camera is an oil magnate and if you have dirty hands or a greasy face it will start to stain the camera. I think the biggest downfall of the camera is the viewfinder, I think they missed the mark on that one with design over function. It is really not glasses friendly, and you tend to tilt the camera back and up. This would have been easily fixed if they had a viewfinder just like the Polaroid 600 cameras. 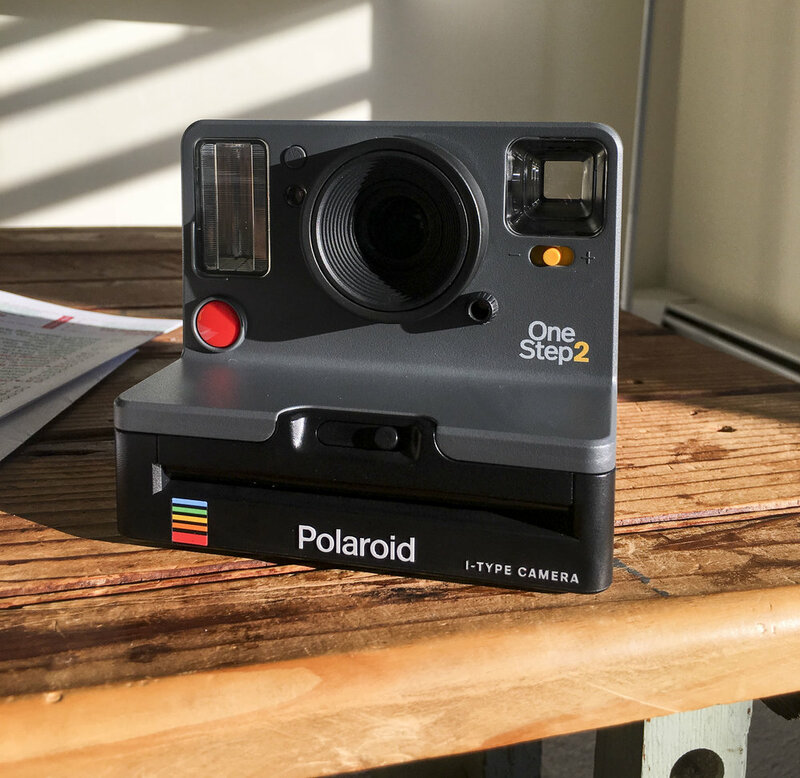 With leaks the past few days (May 29th,2018) it seems that Polaroid Originals has seemed to fix that with making an updated OneStep 2 with a viewfinder. I have read that some people harvested viewfinders off dead Polaroid 600s or used craft paper to make a viewfinder. I think they should have made the tripod socket metal instead of plastic and the strap that came with it was awful it broke the first week I had the camera. Now yes, I know this is a brand new camera and you can not get everything right on the first go and I do think this is a huge win for them(Polaroid Originals ) and I really hope they expand on the I-type cameras/film and make something for the "professional". I am excited for what is next. (June 4, 2018)As you can see above Polaroid Originals has updated the camera with a viewfinder to fix the issues and complaints that people have had about it. Funny enough they have raised the price $20USD for it. Also, it is not an entirely new back it's just an add-on. 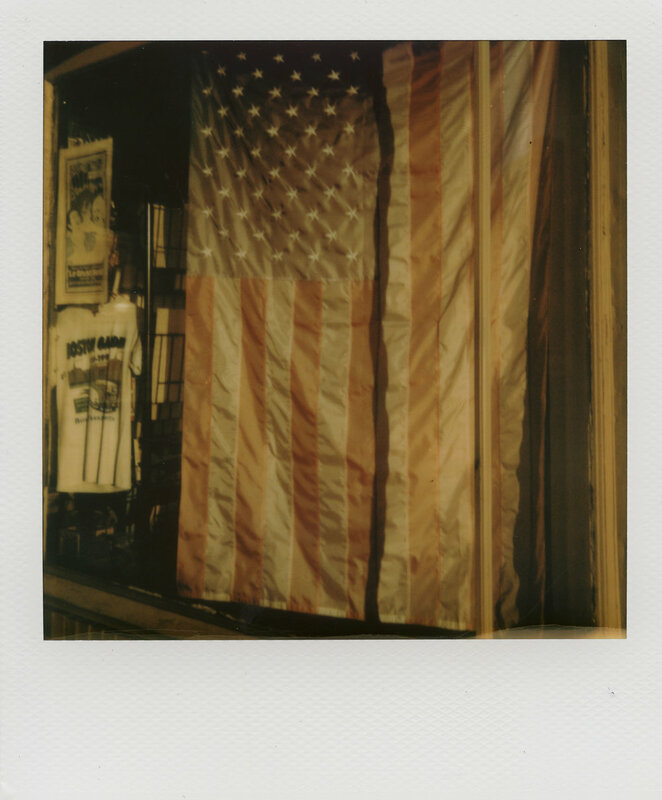 Above Images from Polaroid Originals Website. The images are shown below where all shot with the Polaroid OneStep 2 and all scanned with the Epson v700 in Epson Scan. The film used was all Polaroid I-Type film both in color and black and white. I do really enjoy this camera and It was great to see The Impossible Project become Polaroid Originals and have them come out with a camera right out of the gate. It was amazing that they brought the price down for the film that really makes it a very solid competitor to Fuji Instax. I think the thing that makes me most upset is the the way Polaroid Originals Marketing is going and how its not as "for the users" like how The Impossible Project was and it makes sense to me, I just don't want to see what was invested in to The Impossible Project be lost in this new company. With that all being said, I think this camera was a home run for them and it has really gotten a lot of people that are just getting into instant film, a camera that is great for beginners and help fund this company to make more things for people that are really into it. That's how I really see it is this camera was made to compete with Fuji Instax and to get people to fully invest in Polaroid Originals. I am happy the film for this camera is much cheaper but this will not be my full-time camera for instant photos, I will always grab my Sx-70 before this. I really hope they make something with more manual controls and that uses this I-Type film. I think if you are looking for your first Polaroid camera I think this is the better route to go and get something brand new. 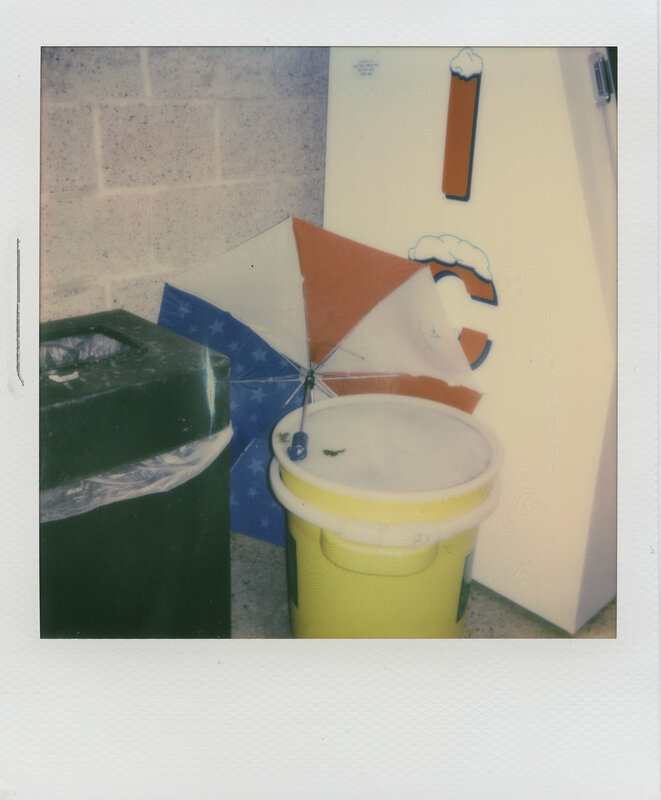 My hats off to Polaroid Originals and I hope more is to come!